Sculpture Size: 6.5 X 12 X 5.5 in. Mark introduces his newest religious sculpture. Even without depicting the Savior himself, Mark is still able to portray the power and majesty of our Lord through His creations and the peaceful conditions that will exist in the last days. 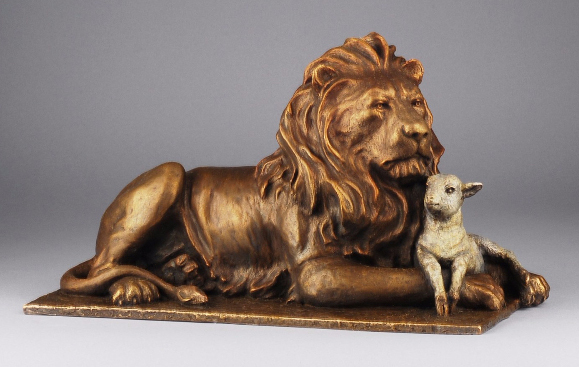 Isaiah was the great testator of the Messiah and The Lion and the Lamb is a beautiful symbol of his prophecy.